It's very hot outside—not exactly the best weather for baking and heating up the kitchen. However, it was great for solar cooking in the backyard. 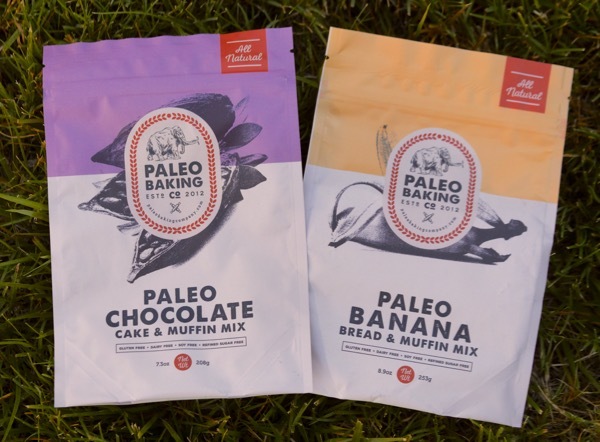 And that worked well for today's two paleo mixes from Paleo Baking Company Inc. (Seattle, WA). 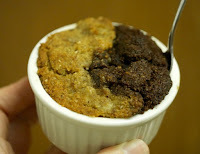 The two flavors also blended well together. 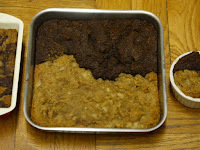 Variations of chocolate-banana blends made included: a marbled banana and chocolate cake; a half chocolate and half banana cake; a chocolate-banana yin and yang muffin; etc. What was wonderful was what was missing in these gluten-free mixes. No vegetable gums, preservatives, refined sugar, or other ingredients that one occasionally pays for later. It felt different (more authentic/clean?) 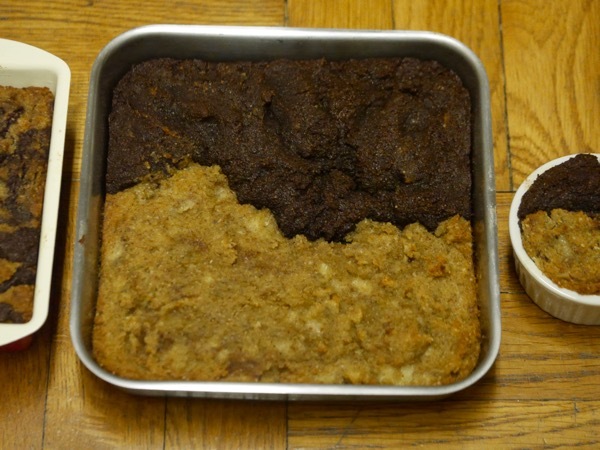 making and eating these baked goods.